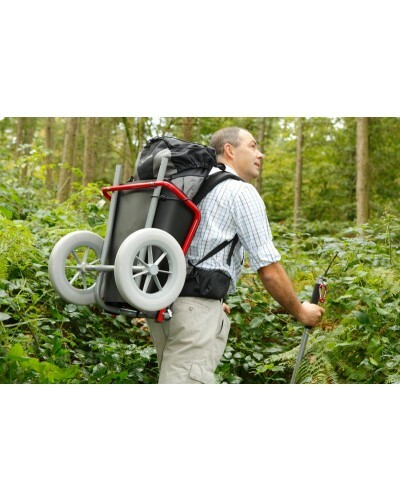 The Ultreïa Rando hiking trailer can be partially taken apart in 1 minute and completely dismantled in 5 minutes. 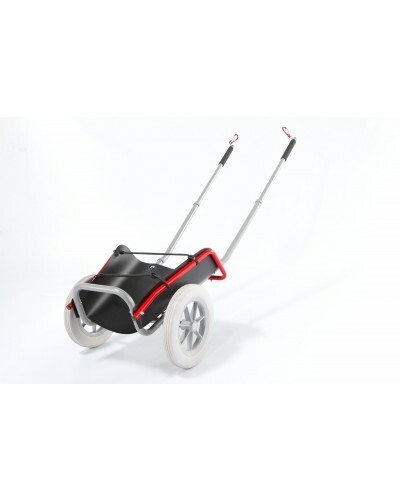 It allows you to carry up to 30 kg with ease. The ideal load to have on you is 2 kg around your belt (no more, no less). This adjustment is done by balancing the load over the axle or by adjusting the reinforcing rod over the axle ( 3 adjustments possible, to provide you with the perfect balance. Patented technique). 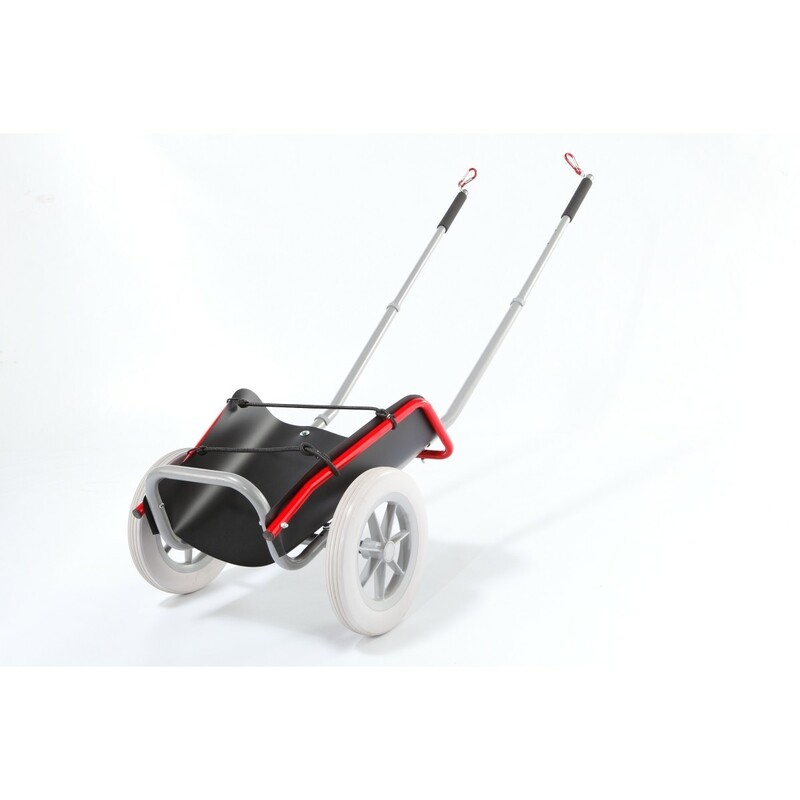 The 2 carrying arms are also adjustable width-wise so as to suit all waist sizes. There are 3 widths. Using a snap hook, they clip onto a belt which can be adjusted to 2 positions (fastening at the middle of the waist or further behind). Delivered with a black plastic shield to protect against the rain and mud. 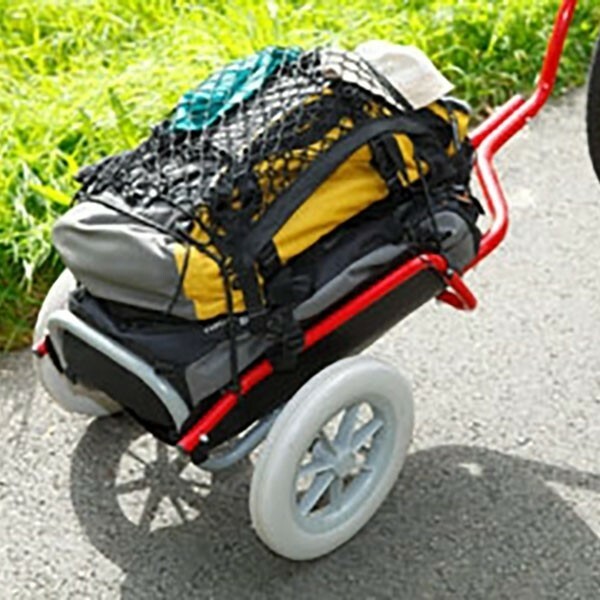 The hiking trailer is made in France. 25 and 30 mm diameter tube made out of aluminium and steel. 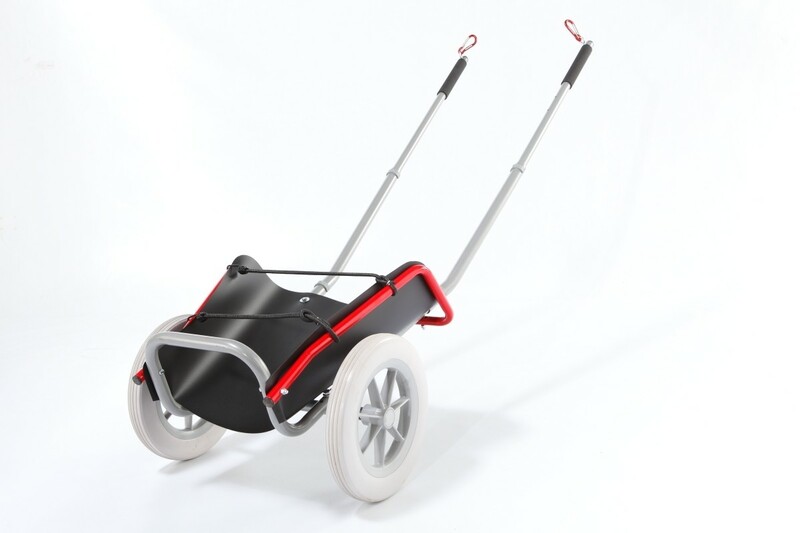 315 mm-diameter wheel made out of semi-soft rubber for comfort, stability and quiet when you are on the move. The trailer can be quickly taken apart. 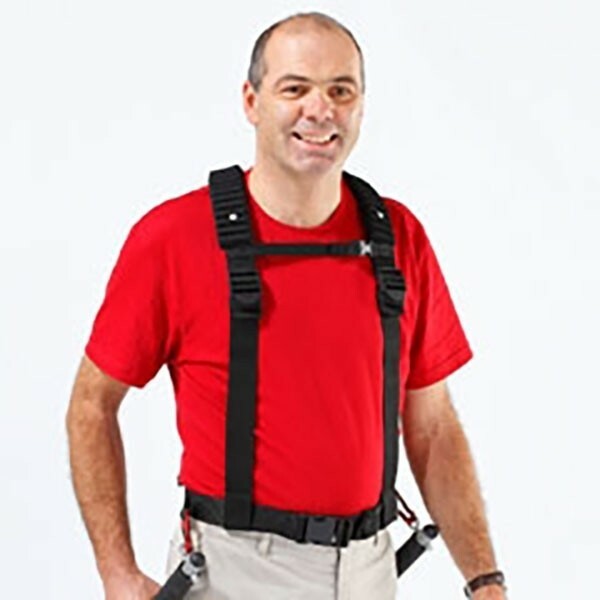 The carrying arms are adjustable. The weight over the axle can be adjusted. Ultreïa Rando can be used on any type of track or road. 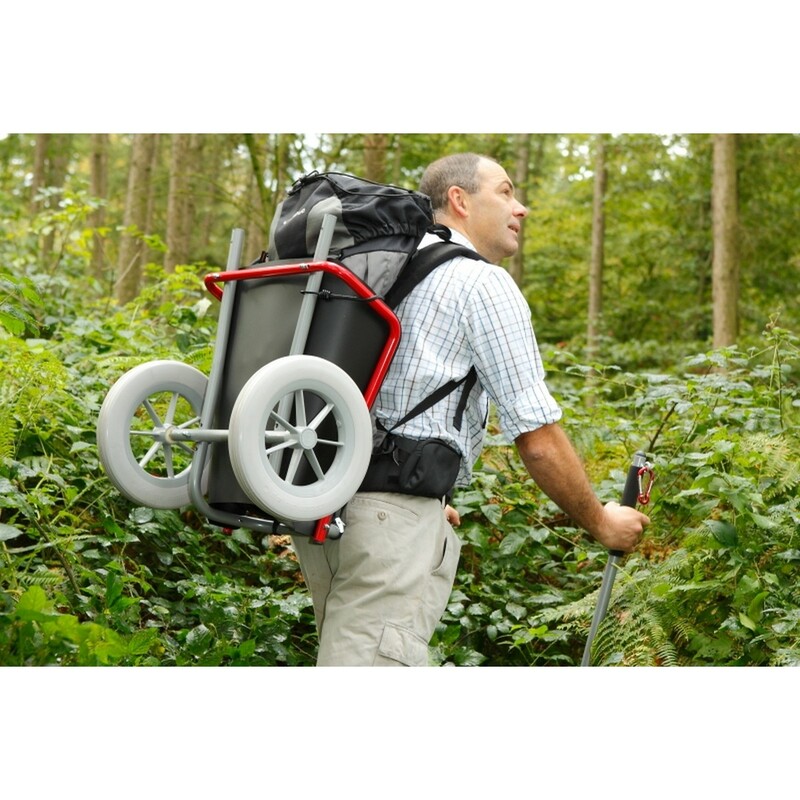 Allows you to move over difficult terrain: holes, stones, ditches. Light, practical, easy-to-use... discover the advantages of Ultreïa Rando.